Toughened glass may sound like something James Bond requires for his Aston Martin, but it’s more commonly used in many forms of architecture. After treatment with heat or chemicals to render it stronger, toughened glass strength can be four to five times the strength of conventional annealed glass, making toughened glass panels ideal for architectural use. When used in construction, the glass is designed so that, should the load-bearing pane fail, the remaining panes within the panel will continue to function as intended. Toughened glass properties also include the ability to handle greater temperatures and differentials, as well as fracturing into smaller pieces with blunt edges if the glass fails. This is why it’s often referred to as toughened safety glass. Glass features that form part of a building’s structure have become increasingly popular in recent years, with everything from toughened glass shelves to toughened glass doors to entire toughened glass floors being incorporated into many modern homes and commercial buildings. Originally, thicker glass was used to handle heavier loads. However, increasing safety requirements and advances in laminating technology have led to the widespread use of laminated toughened glass, in which multiple sheets of toughened glass are bound together with lamination materials that can further enhance the strength and safety while cutting down on the thickness of toughened glass. 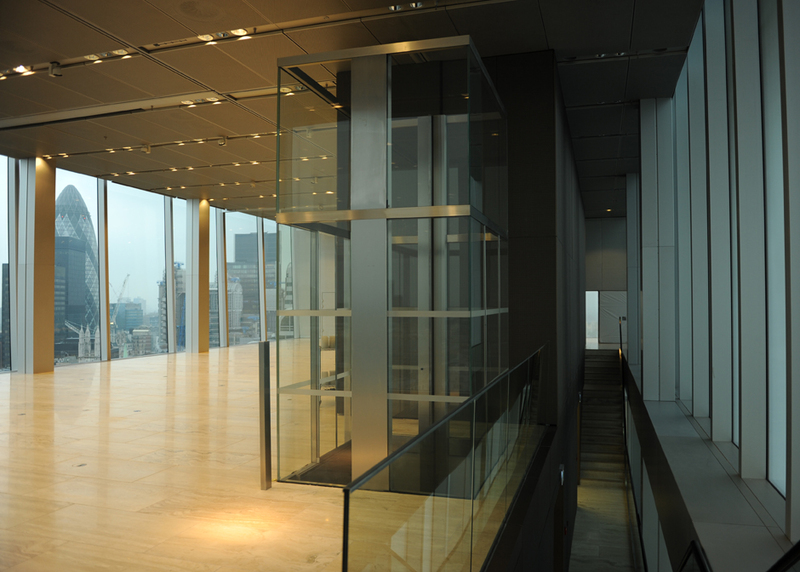 Mandatory requirements aside, both toughened glass manufacturers and toughened glass suppliers have also seen a surge in demand for custom toughened glass for projects, as architects strive to achieve a unique look without compromising on safety or material quality. Many modern offices have toughened glass facades, which not only look visually striking but also maximise the use of natural light, which reduces energy usage. Any standalone glass structure without a frame should be made of toughened safety glass, doors being the most common example. Frosting can be added for privacy or they can be left clear to maintain visibility, which is why they’re used for everything from shower cubicles to offices. Another example of frameless glass structures, glass handrails and balustrades are used to provide additional safety on staircases and balconies. Toughened glass offers a more contemporary look than traditional materials. Glass lifts have been around for many years, but now they are considerably safer, thanks to the use of toughened glass. Whether for a showroom or someone’s home, the extra load capacity offered by toughened glass provides additional peace of mind that the shelves can support a range of loads and won’t fail suddenly, causing damage or injury. Increased anti-theft properties and a lower risk of injury have made toughened glass the standard for all shop windows. In fact, many modern shop fronts are being replaced by entire glass facades for the additional natural light and increased visibility offered. Surprisingly, toughened glass isn’t a legal requirement for skylights. However, the use of toughened glass is definitely advised, especially if there’s a chance of debris falling onto it, such as from trees or taller construction. Whatever your requirements, we offer a full range of toughened glass products that can be tailored to your own individual needs. Contact the team at Diamond Glass to find out more today.